I have been beyond excited to see some of my favorite brands come out with products specifically for type 2 wavies like myself. Chia-flaxseed extract blend to enhance waves, add shine, and control frizz. Rice protein to add body and fullness. Lotus flower: to give waves bounce and vibrancy. Like all DevaCurl products, these are sulfate, silicone, gluten, paraben and cruelty-free as well as vegan-friendly. "The balanced, lightweight formula cleanses the scalp and hair while fighting frizz and oiliness. Great for a thorough yet gentle cleanse, it's made with rice protein for body and fullness, lotus flower for bounce, and a chia-flaxseed extract blend for defined waves that last." This product smells citrusy, like lemon. It is bright and awakening. I prefer DevaCurl's Low-Poos to their No-Poos because of their light lather. It left my hair feeling clean and soft, not stiff or squeaky. Although the consistency was a bit runny, I did not need to use more than a quarter size amount of product for my hair. This is a wonderful cleanser! "Give strands the perfect amount of hydration. The light, moisturizing formula—made with rice protein, lotus flower, and a chia-flaxseed blend—fights frizz, detangles, and sets you up for a defined, wavy look that lasts. Hair is left nourished, vibrant, and smooth." This has the same scent as the shampoo. I was concerned this conditioner would not be moisturizing enough for me since my waves are notoriously dry. However, the product actually made detangling easy--I massaged it into my hair with my fingers in the shower to help make sure my hair really absorbed it all. Speaking on consistency, One Condition Delight was not runny, but also not thick. It did a great job at leaving my hair feeling hydrated but I did need quite a bit of product--my wavy hair drank it up. I did not rinse this conditioner out all out. Instead, I quickly splashed some water onto the roots and left at least 80% of the product in my hair as a leave-in for added moisture. I like this conditioner even though I do still rotate it out with something heavier--usually a masque--since my hair craves so much moisture. After rinsing the masque out completely, I apply the Delight Conditioner as a leave-in. "A lightweight, whipped formula for touchable, wavy texture that lasts all day. This light and airy whip, made with moringa seed and passion flower extracts, gives consistent waves and frizz control every time you use it. Hair is left smooth, healthy-looking, and delicately scented. Provides touchable texture that lasts." The scent of this is incredibly yummy, fruity and juicy like Skittles, and I was a bit sad that it did not linger. Wave Maker was awesome. The product is lightweight with an airy and creamy consistency. It never felt sticky, tacky or heavy, and I did not need a lot at a time. It helped bring out the definition in my waves while leaving them, soft, shiny and frizz-free. Not only did I feel like I did not have styling product in my hair, even when my hair was wet, it surprisingly felt lighter than usual. This cream made it onto my Holy Grail list because every time I use it, I get consistently great results. I prefer sealing it with either an oil or DevaCurl MirrorCurls for more shine and frizz-fighting power. 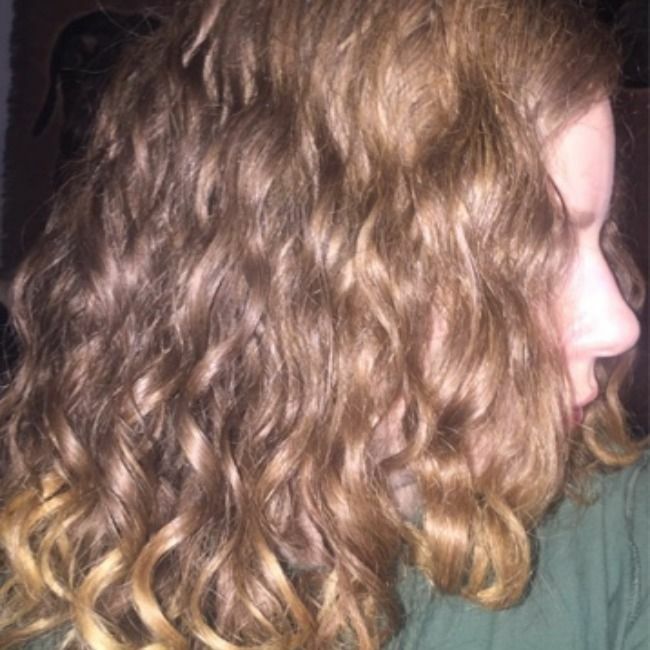 When I use the DevaCurl Delight Low-Poo, One Condition and Wave Maker, I noticed some of the best wave definition my hair has ever achieved on day one. Day two and three hair had nice definition--even after sleeping and working out. I also needed to do less to my hair to refresh it than I normally would. Overall, I love the incredible definition, texture, shine and lack of frizz in my hair using DevaCurl Delight & Wave Maker. If you have wavy hair that is prone to frizz and crave more definition, definitely give these a try. 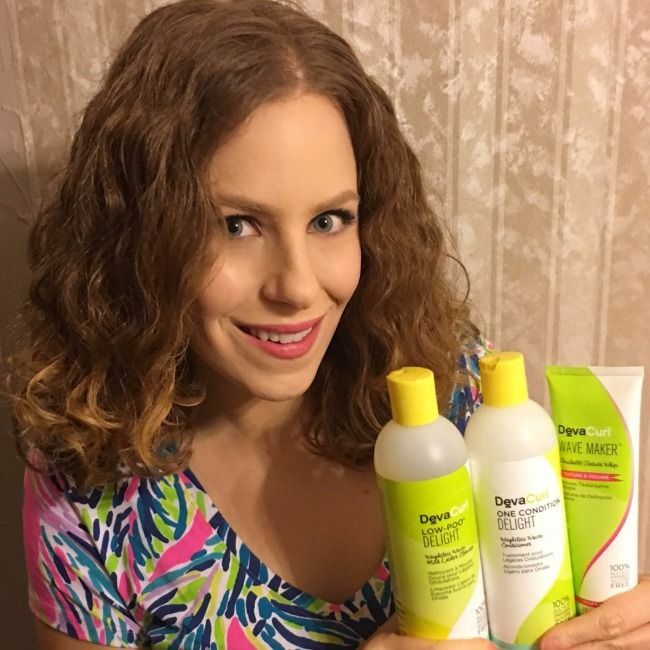 Have you tried these new DevaCurl wavy products yet? Let other wavies know by leaving a comment below or a review in our product database.